All participants and observers must complete liability waiver prior to utilizing the facility. Be considerate and respectful to other climbers, guests, and staff. 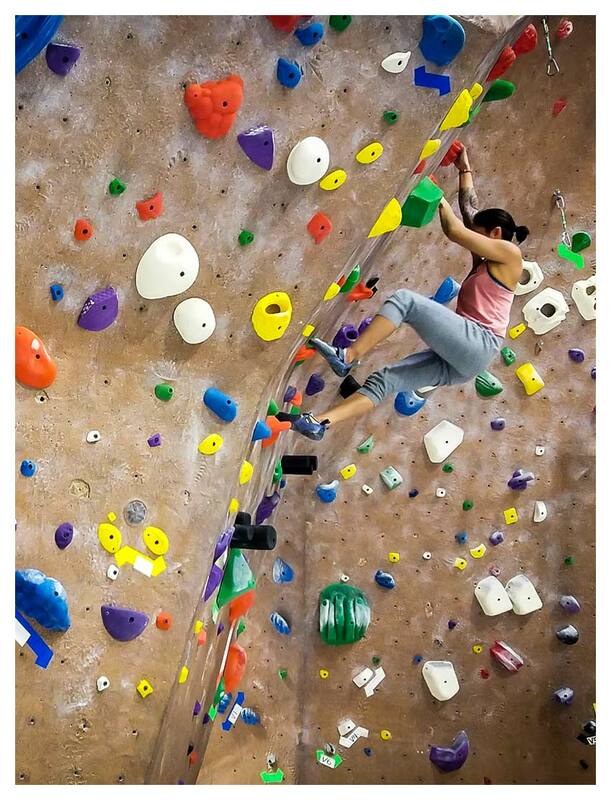 All climbing areas in the gym are considered to be fall zones; keep an eye out for climbers at all times and do not walk/climb under other climbers. No drinks or food allowed on grey/blue floor. No swinging or playing on ropes. Closed toe shoes must be worn at all times while climbing and using fitness equipment. If you are under the influence of any drugs or alcohol, you will not be permitted to use the facility. Minors under the age of 14 must be actively supervised by an adult who stays within an arm’s reach. Minors under the age of 16 are not permitted to use the fitness equipment unless they are a actively enrolled in one of our youth programs or with an adult who stays within an arm’s reach. Please make sure to pick up all trash and personal belonging before leaving the gym. Limit auto belay use to one route per turn during busy times. All rental gear must remain inside the gym at all times. Climbing shoes are not to be worn in the restroom. All climbers must be willing to take personal responsibility for their own safety and follow the general rules of the gym. 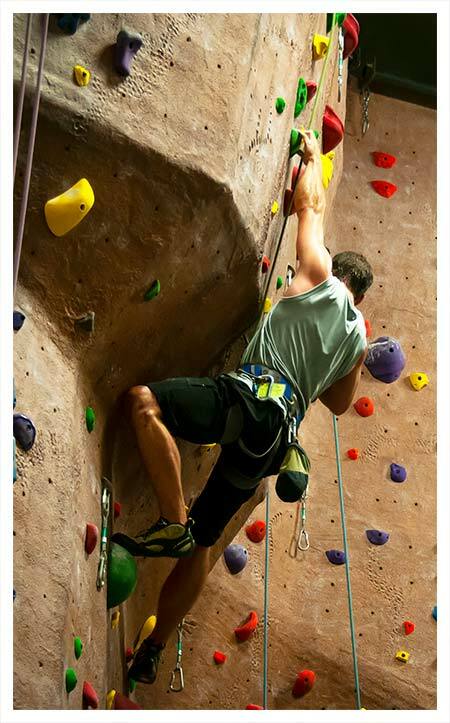 All prospective belayers are required to pass The Peak of Fremont belay test to belay, even if you already have a belay certification from another gym. Climbers/Belayers are required to follow all General and Top Rope Rules. Belayers must be at least 14 years old. Climbers/Belayers must use gym-provided GriGri belay devices attached to each rope. Personal belay devices are only allowed when lead climbing. Figure 8 devices are not allowed at any time. Climbers must tie in using a figure 8 follow through knot. It is the climber and belayers responsibility to ensure they are climbing on the correct rope in addition to making sure the rope is not twisted. Belayers must remain attentive while belaying and may not sit or kneel while belaying a climber. Climbers/Belayers are both required to perform all safety checks on themselves and their partner. Harnesses must be worn securely with the waist strap above the hips with double-backed buckles. Belay device must be properly set up with locked carabiner. Climbers/Belayers must use verbal commands. Top Rope (belay card) climbing certification expires 1 year after issue date. All climbers must be willing to take personal responsibility for their own safety and follow the general rules of the gym.All lead climbers AND belayers are required to pass The Peak of Fremont Lead Climbing and Belaying test. Lead climbers/belayers must be 16 years of age or older. Climbers/Belayers are required to follow General, Tope Rope, and Lead Climbing Rules. Climbers/Belayers must test with personal gear. We will not provide harnesses, belay devices, or ropes to testers. Both testers are required to take a fall. We do not offer a lead-belay-only card. If you want to lead belay, you must also pass the climbing portion of the test. All Top Rope Climbing/Belaying rules must be followed. Climbers/Belayers are required to obtain a lead-climbing certification card prior to lead climbing or lead belaying. Climbers/Belayers must sign in to lead climbing log prior to climbing or belaying. Lead climbers must use gym-provided quickdraws. Lead climbers must climb confidently without skipping, back clipping, or z-clipping any of the quickdraws. Lead belayers must remain minimal and safe distance from the wall. Lead Belayers must keep minimal slack always. The slack should never touch the ground. Figure-Eight devices are not permitted. Lead climbing and/or belaying is not permitted with rental harnesses. There is no placement of personal gear (quickdraws, cams, nuts, etc.) allowed anywhere in the gym. Minimal length for lead rope should be no less than 35m. Lead rope must be safely maintained, flaked, and must have a closed system regardless of rope length. Lead climbing (lead card) certification expires 1 year after issue date. All climbers must be willing to take personal responsibility for their own safety and follow the general rules of the gym. Minors under the age of 14 are not permitted to boulder unsupervised unless they are enrolled in one of our youth programs. Parents/Guardians must be actively supervising their child in the bouldering area. Failure to do so will result in the child being removed from the bouldering area for their own safety. If you are unfamiliar with bouldering, ask our staff for assistance prior to climbing. Never break your fall with your hands/arms and use a spotter for riskier movement. Do not climb above the taped finishes in any bouldering area. Topping out is not permitted. Do NOT boulder unless you are confident and comfortable falling from height. 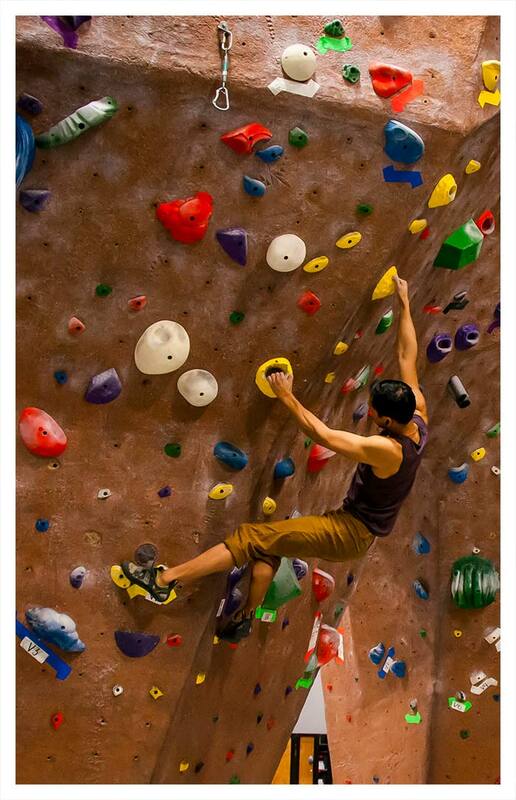 If you are traversing, please be courteous of all other climbers on or near the climbing wall. Be aware of landing surfaces, other climbers, and protruding holds…etc. If bouldering in any area outside of the bouldering floor, DO NOT PASS the first draw on any given wall. Be aware of potential uneven landing zones when climbing and spotting. Notify staff immediately if you find an area of concern. Never sit /congregate in high traffic areas and fall zones.